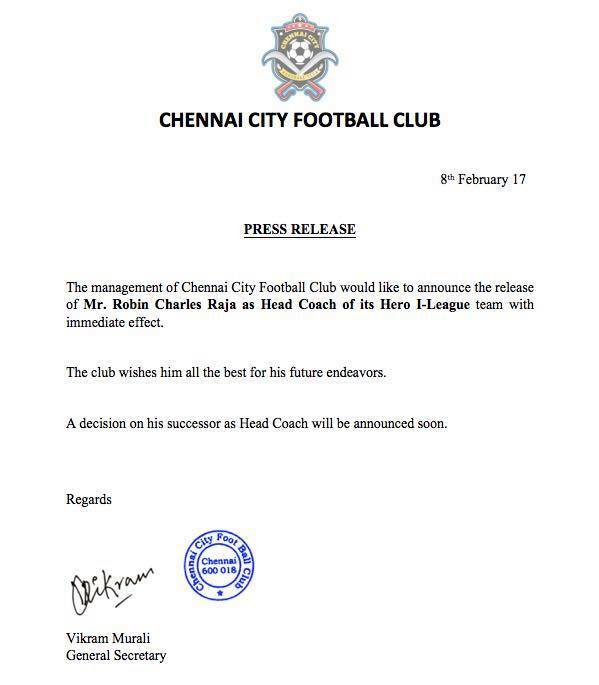 I-League debutants Chennai City Football Club have decided to part ways with their head coach Robin Charles Raja. The club announced the official communication on their official facebook page. The decision comes after Chennai City FC struggling to keep ground with the rest of their competitors in the Hero I-League seated rock bottom with only four points from their quota of seven matches.